It’s no secret that creating and selling online products is an amazing way to generate massive income! Heck my last product launch created 5 figures in only 4 days! My buddy Omar Martin had a multiple six figure launch before the turn of the year. My friend Michael Cheney blew 6 figures out of the water only last week! So, are you missing something from your Online sales? Did you make a 5 – 6 figures from your last product or current product? From November last year to March this year I have had two product launches. One of them generated a total just over $36,000 the other over $70,000, can you tell me why there is such a big jump? So when I ask again “Are you missing something from your sales?” I’m guessing it’s a sales funnel. If you are wondering what a simple product launch sales funnel is, the graphic below tells the story nicely. 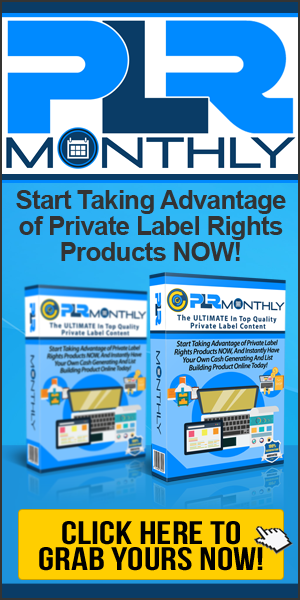 Here is why savvy internet marketers are making multiple six figure incomes from product launches and the same on the back of product launches. It’s not just about the front of the product it’s about the whole sales funnel and flow. Allow me to explain a little more for you here with some numbers close to the numbers which I have experienced in the past to show you where the BIG money is. So looking at option 1 – 5 above you find that it’s not just the front end product that creates the money. In actual fact it’s the combination of all sale options that create the big numbers. In actually fact, based on 1000 sales and 50% of buyers taking upsell 1 and 50% of these buyers taking upsell 2 this product has a potential of generating $67,740 in total revenue. These values are for this example only. But as you can see, this is the outcome of a good launch which was the model of one of my launches at the start of this year. But it doesn’t have to stop there. I want to show you how you can add at least another 1/3 of that revenue to the total value. Depending on the numbers you put onto your subscriber list from the product launch it could be as much as 1/2. So how can you make more money? Without going into the technical aspects of it, remember when I said one of my launches created over $70,000? This increased revenue was generate with the addition of an automated registration webinar which added all subscribers automatically to an internet marketing based webinar (some of you may have attended). Typically webinars are held 7 days after the product launch and last between 1- 3 hours and offer a tonne of free information. The outcome of the webinar 99% of the time ends with the option to buy into a high end training course, done for you course or very high value training which if you can invest are usually all you need to make your own business a success. Online training webinars can often be priced between $1000 and $15000 for the training provided and it’s this that can add serious cash to the net profit of your launch. But do you know what’s great about it? You don’t have to host the webinar! If you can drive enough buyers to your product during the initial launch, you can place up to 1000 registrants on a webinar. If this happens you’re in business! It’s not uncommon to see marketers teaming up with each other to host high converting webinars after product launches to create huge back end profits. So, are you missing something from your sales? Give these methods a try for your next product and I guarantee greater results than you have ever seen before! Thanks for reading! As always all comments are most welcome! So, the question is… Are you missing something from your Online sales? Thank you,Dan. I just want to add one thought. All this extra sales after the launch depend on the trust and authority you generated during the launch process and confirmed with the value you delivered to your buyers. Hey Johannes, Yes and no. It all depends on marketing and a good product. Trust and sales do come into it, but quality of product and sales copy/techniques in my opinion come first. Affiliate recommendations about your product in some ways bring trust so I guess there is an element of trust passed on by the affiliate promoting the product to. I agree that quality of the marketing and product quality are cornerstones for building trust and authority. By the way I am in the meantime reluctant to buy something if I feel the marketing is not done professionally because this lets me question whether the selling is serious with what he is doing. Having a Sales funnel is important! and if you really want to smash it having a higher ticket backend product will increase your earnings tenfold. So Accurate with the Sales Funnel. If the subsequent webinar is really related to the purchase, fine and dandy, but I’ve seen a trend lately to invite on the welcome page or with an email to a Special Training Webinar touted as “free extra training” and all it turns out to be? Not even an up sell for what ever you bought, but a super high priced program from someone else …where the vendor who invited you…introduces the new vendor, doesn’t participate until the end when trying to get everyone one to buy at Overdonecom with the originalvendors affiliate link….. Even though I’ve never created any product before but, I do know that the money is usually on the upsells. I believe the front end product which is usually cheap is often used as a trigger to get people to buy so you can now market the main product to them..
That’s why someone like Alex Jeffrey is always banking lots of cash from his product launches.